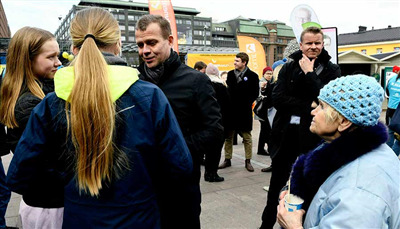 HELSINKI (AP) — Finns will be voting Sunday in a parliamentary election shaped by debates on how best to preserve their generous welfare model despite having one of the world's most rapidly aging populations. In many respects, the vote among Finland's 5.5 million people reflects trends seen across Europe: a populist anti-immigrant, euroskeptic party is surging in opinion polls, while traditional political parties have lost much of the support they once had. Across much of Europe in recent years, particularly since the migration crisis of 2015, voters have boosted right-wing parties. But in an exception to that trend, Finland's center-left Social Democrats are polling with the most support.